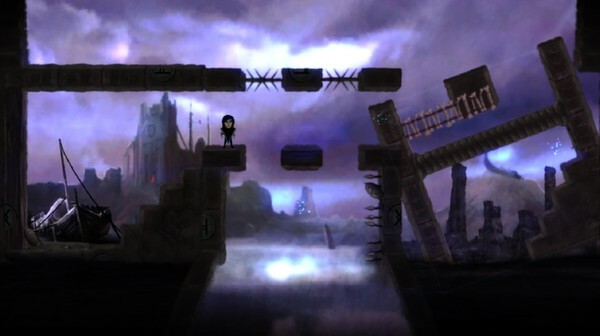 Munin is a puzzle platformer inspired by Norse mythology. Players will play as the human form of Munin, Odin’s messenger. Normally, Munin is a raven, but Loki has transformed it into a mortal girl and scattered its feathers across the nine worlds of Yggdrasil. 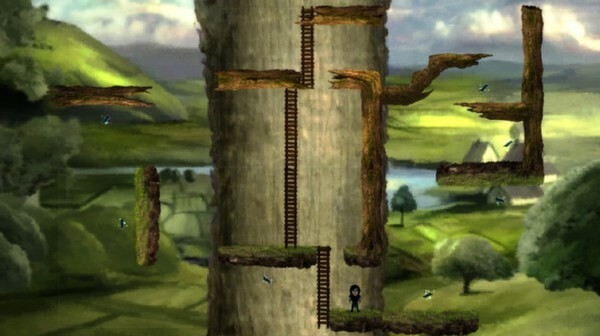 The game mixes traditional puzzle platforming gameplay with rotating environments to create 81 mind bending puzzles. 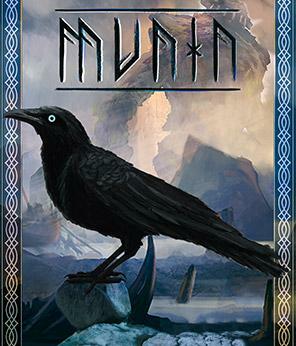 Munin follows the title character’s journey to reclaim its feathers and return to Asgard. The story is pretty light, being told through short readings at the beginning of each of the nine chapters. To make things more interesting, the plot is inspired by Norse mythology. The story is an good read, as the writer manages to maintain a poetic flair throughout the game. It is important to note that mentions of the ravens Hugin and Munin in Norse mythology are found in a collection of Norse poetry. In the end, the story serves as the game’s window dressing, versus a central pillar. 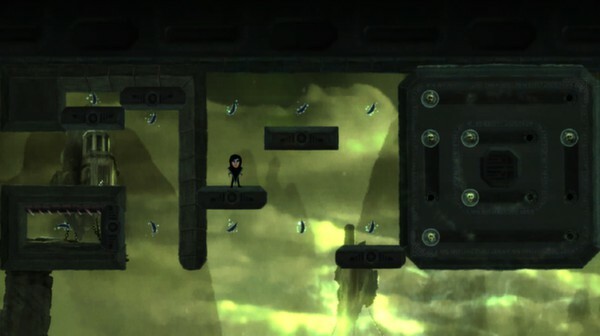 Munin takes the traditional physics based puzzle platformer genre and quite literally turns it on its head with the world spinning mechanic. Each level is blocked into several sections. Each section can be spun clockwise. Some sections are bound together, forcing multiple sections to be spun at the same time. To make the game more challenging, the player is unable to rotate the section Munin occupies. Munin will visit nine worlds in its travels. 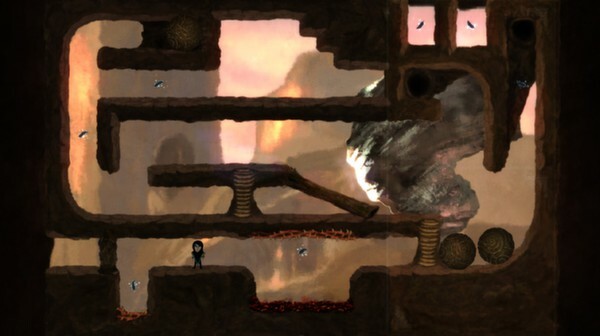 Each world’s puzzles are based around a game mechanic, such as water or rolling boulders. Some mechanics can kill Munin, which will start the level from the beginning, while others are a little more forgiving. I personally found the death mechanic to be frustrating in more complicated levels that may require long multi-step solutions and the successful completion of several dexterity based challenges. The game really is at its best during non-fatal puzzles, as there are enough pitfalls to force the occasional level reset, without having the added frustration of death. The level design of the puzzles are decent. 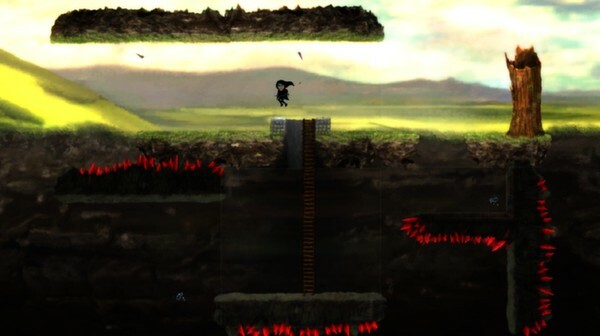 Physics plays a huge role in Munin’s gameplay. Many puzzles will have the player juggling fluids or moving objects while they spin the environment around. Munin is probably at its finest during the fluid based worlds. The water level is hands down my favourite, as it allows the player to experience the impressive fluid mechanics without the pressures or frustrations of death. Munin’s controls are probably the weakest link in the chain. They are usable for travelling around on flat surfaces. Using the mouse to spin certain environments works well, though it means controller fans will be left out in the cold. Munin’s biggest problem is the terrible ladder behaviour. Getting Munin to grab onto a ladder while jumping is an exercise in mild frustration, getting Munin to properly dismount a ladder at the top is almost rage inducing. Most games will allow the character to dismount the ladder and move around on the top level when more than half of the character’s body is above the area. Munin, on the other hand, requires Munin’s feet to be at the top rung of the ladder. Otherwise, Munin will throw itself off the ladder and fall to whatever surface is below. The developers estimate that the 81 levels will take roughly seven hours to complete. Their estimate is pretty reasonable, if not a little conservative. At its current price point, the game is setting itself at the higher end of casual puzzle games. Munin has a great art style that is reminiscent of children’s story books. It is a fitting style that suits the Norse mythology theme developers Gojira have chosen. When mousing over an area that can be spun, a light white frame appears if the zone can be moved and a light red frame if it cannot. I would like to see the level of transparency lowered a bit, as I find it was rather difficult to see clearly. The game runs very well performance wise. The minimum requirements are extremely low, so most laptops should have no issue running the game. The music in Munin is enjoyable. The developers have chosen a more subdued style that works great for focusing on puzzles, lowering the amount of distractions during difficult challenges. Though there are not too many, the sound effects are very good. Munin has some great ideas, though flounders on execution. The mushy controls and the terrible ladders can become an irritant. Dying late in complex multi-stepped levels is frustrating, as remembering all the steps needed to return to the previous point can be annoying at time. On the other hand, Munin is a beautiful game with a smart design. Gojira’s choice of Norse mythology is novel, as Roman and Greek mythology tend to be over-represented. Unfortunately beauty, an interesting setting, and a unique gameplay mechanic really is not enough to hit this one out of the park.